Epidemic Sound is home for creative music artists and professional sound content buyers. It guarantees a sonic cocktail for a demanding audience. The collection extends to Swedish House, cinema scores,pop, dubstep, and psych,with 85% of tracks instrumental,15% vocal. 300 new compositions from talented composers and producers every month. 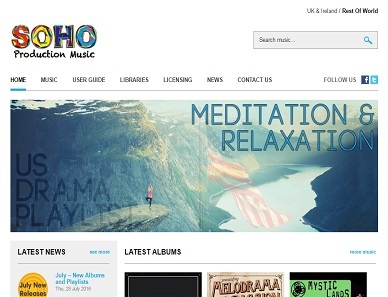 Soho Production Music comes from the heart of a music and art-inspiring part of London! 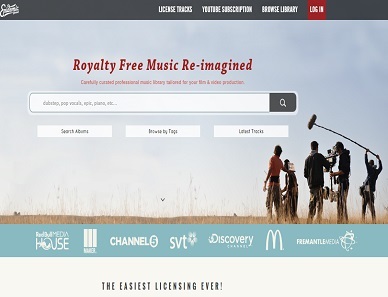 An exclusive and vibrant music library label that provides high-quality music: from Lounge to Pantomime, from Pop to Beethoven.Soho Production Music has more than 50,000 tracks,ever expanding, updated weekly, with hundreds of genres and styles, all historically authentic, including Africa and Turkey. Cutting Edge Group has been dedicated to driving change in the music industry since its foundation in 1993. 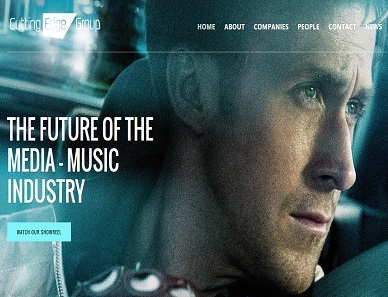 Creating music for CLIO, delivering soundtracks for Oscar-awarded movies, and releasing the albums that became best-sellers are only some examples of the successful range. 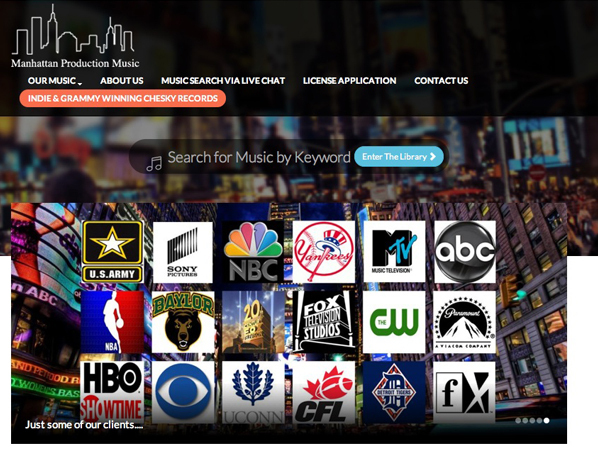 It is a full-service provider of music content for advertising, television, games, movie industry and independent producers. 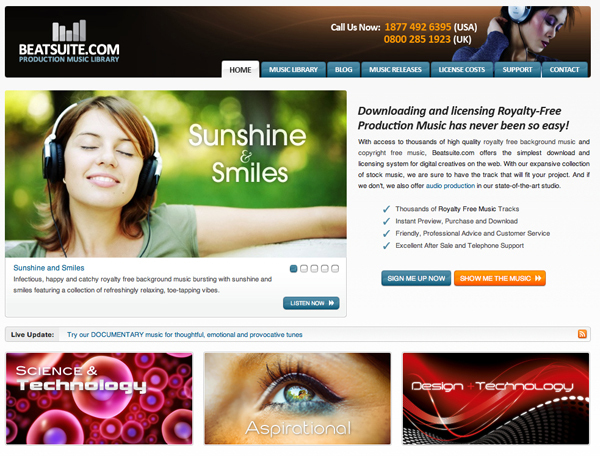 SoundVault delivers content from composers worldwide, providing a full licensing service. Producers can easily access broadcast-quality content (WAV or MP3) to preview and create playlists. Single track license and low-res MP3 available for download. Reliable search facilities with over 5,500 genres, simple track download/upload mechanism, licensing upgrades and no submission fees. 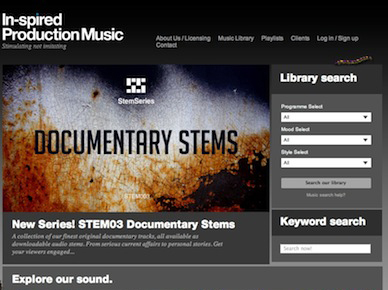 Set up by the renowned producer Tim Geraghty in 2006, In-spired’s aim is to create an exceptional and unique production music library. From sourcing new and talented composers, to investing great effort into their music production and visual design, In-spired Production Music delivers the best in musical composition, performance and production. 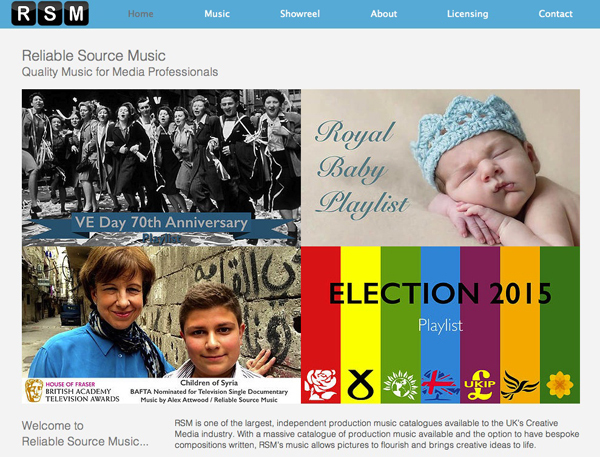 Reliable Source Music is an established UK music production and publishing company that specialises in providing music to media professionals for use in their productions. 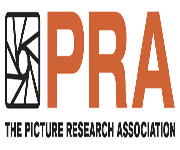 We provide music for tv, video, radio, advertising, film, multimedia and corporate use. 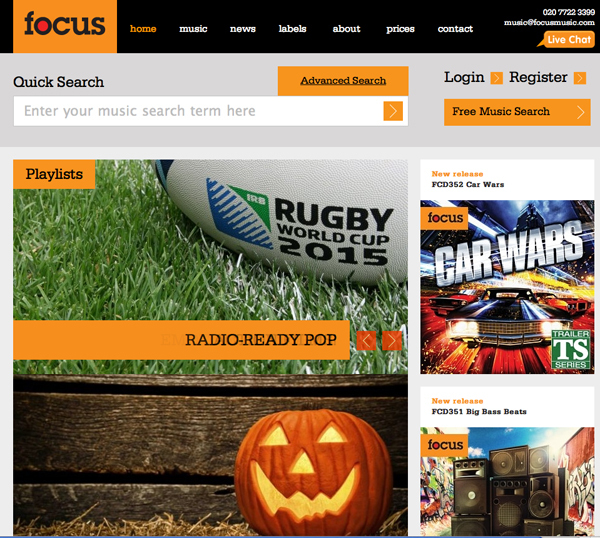 Focus Music was launched in 1988 and is now one of the UK's top production music labels. Our music ranges from classical to drum 'n bass but we are known for our contemporary dance and rock tracks and the quality of our decade-by-decade retro and 'style-alike' tracks. Our goal is to provide music users with a unique selection of high quality music library choices. We give you a variety of manageable libraries that are both comprehensive and easy to use, allowing you and your team the creative freedom and versatility required to make a great production. 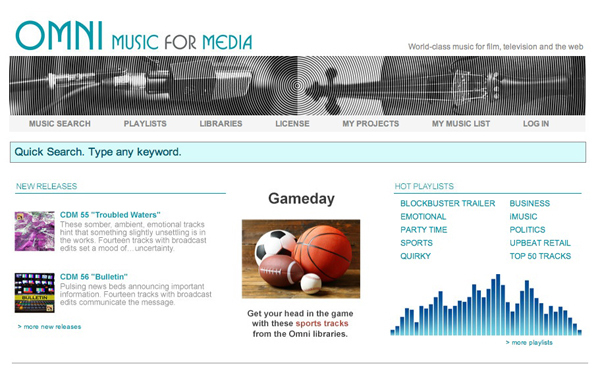 Omnimusic - A 170-CD, 6300+ track music resource packed with the highest quality music tracks in the styles most needed for contemporary media production. From pounding grunge to soaring jazz to classical strings, Omni is a creative catalyst for outstanding scoring on any project. 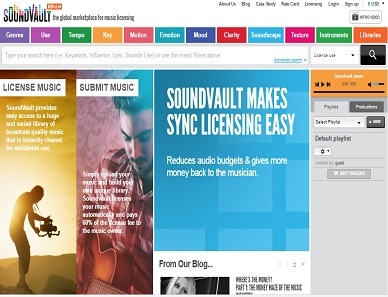 The Beat Suite is a Royalty Free Production Music Library specialising in producing and providing high-quality music and sounds for the multimedia, broadcast and computer games industry.